← Of The Pack at PHOG?!? 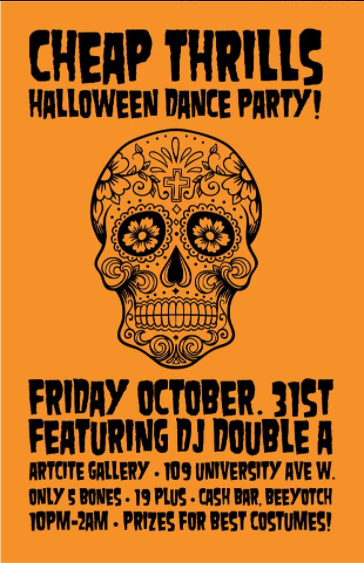 Friday 31 – DJ DOUBLE A Costume Contest Dance Party at Artcite (cap. 125) with full wall projections and Halloween drink special! This entry was posted in Event Listings, music and tagged 2014, downtown, entertainment, events, Halloween, listings, movies, music, october, phog, Phog Phest 6, rock, venue, windsor. Bookmark the permalink.